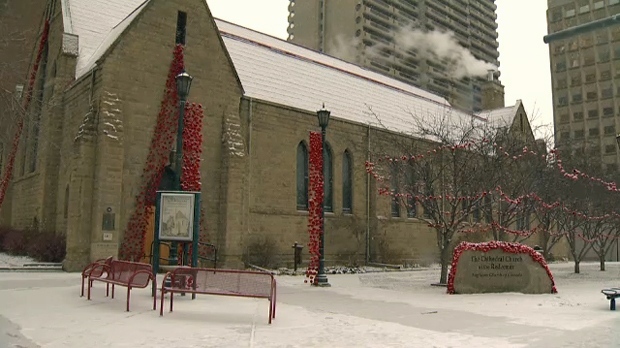 Thousands of hand-knit poppies are on display on the exterior of the Cathedral Church of the Redeemer thanks to the effort of the church’s volunteer knitting club as well as contributions from outside the province. The poppies, which are the fruits of nearly a year’s worth of labour, have been fastened to nets and strewn across the church’s façade and through the trees on the property. 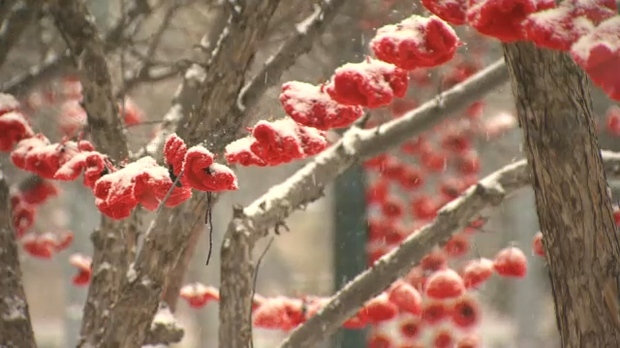 The exact number of poppies has not been confirmed as organizers lost count after 8,000 of the flowers had been created. The 20 members of the group normally knit blankets for newborns but decided to adopt the remembrance cause after one of the volunteers encountered a similar poppy display during a trip to the United Kingdom. Word of their effort spread and knitters began to send their own poppies to contribute to the project. Feedback from the public to the poppy display has been overwhelmingly positive. The display is scheduled to remain in place through Remembrance Day before it is removed and dried. The poppy nets will be placed in storage ahead of the fall of 2019 and the knitting club is considering added more flowers for next year.